I really should have taken a couple before pictures. 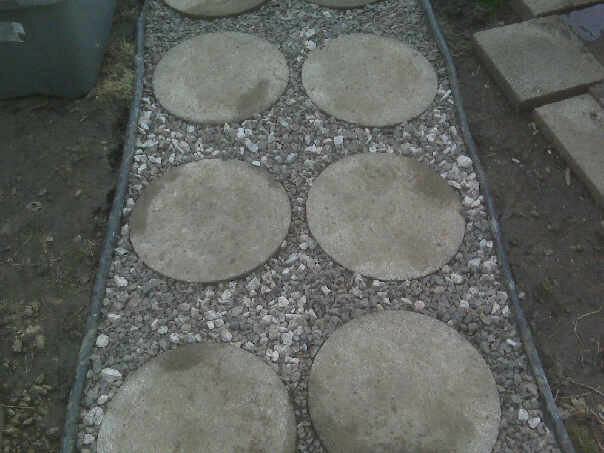 It used to be mud and you could barely see the stepping stones. The mud turned out to be mud mixed with a bunch of rock that I dug out and found a tarp serving as a barrier. Those black edgers were there already. The only think I had to buy was new rock because I couldn’t get the old rock to wash off, the mud was very much clay. It made a big difference and I like the way it turned out. 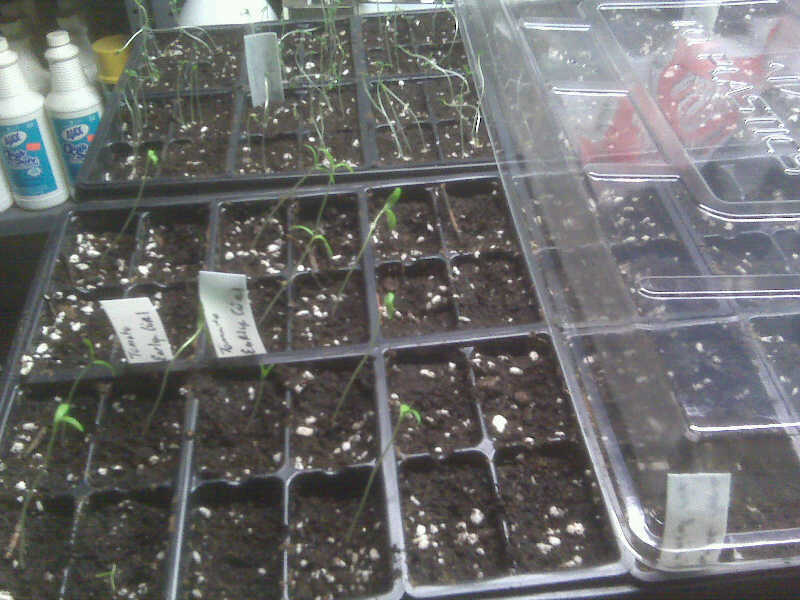 That would be Tomatillos and Early Girl tomatoes. The peppers are just barely starting to peek out, we should really be seeing those in a couple days.